The Art of Seduction is all about CONFIDENCE! 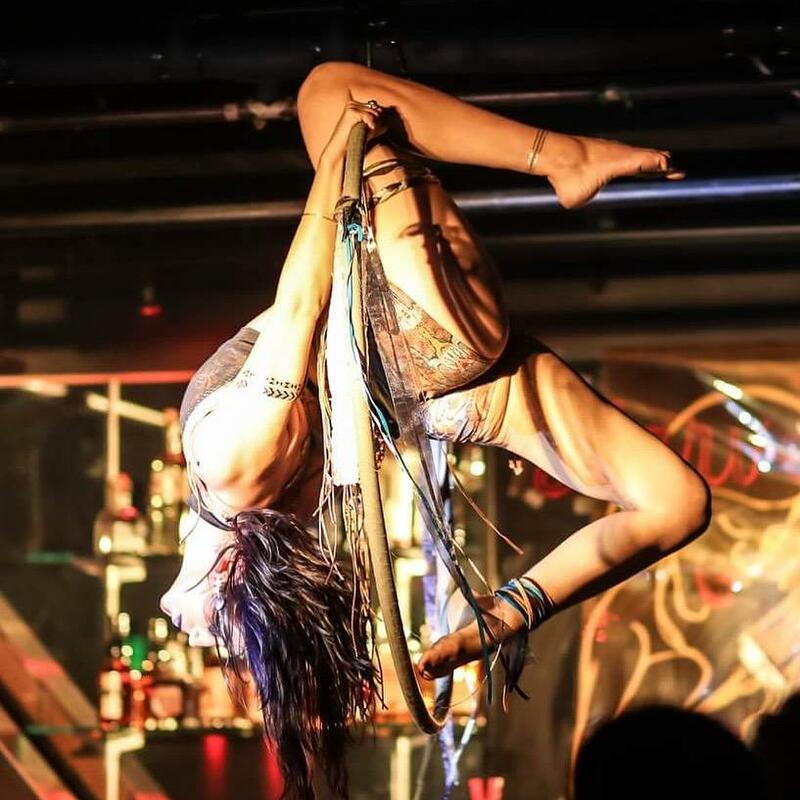 Jypsy Wild is a professional aerial circus performer and coach who loves teaching people how to feel confident in their body and how to OWN their movements. This workshop is a chance to dance and play, but most of all, to shed the insecurities we may have about our bodies & our sensual nature. You don’t have to be a performer, or have any professional performance aspirations to enjoy & benefit from this interactive dance experience. Just come with an open mind and a willingness to take a walk on the wild side! Jypsy Wild has been a resident performer at Harvelle’s in Long Beach for 5 years; you may have seen her here spinning in the air or on the pole in our Seduction & Cirque Du Desir shows. She was a gold medalist in the Pacific Pole Championships, Exotic division in 2018 and in the last two years she has helped over 50 students bring their talents to the stage for the first time at her studio: Jypsy’s Performing Arts, where she teaches burlesque & aerial arts. She has a lifetime of experience in movement arts and her passion is to help others find empowerment through creative self expression. 2 hour Burlesque Workshop: Beginning Series I.